The US Treasury Department released a list on Tuesday of the 33 major holders of US Treasury securities. Russia was no longer listed among them. An unknown military aircraft went down in Syria’s northern al-Hasakah province, the Syrian state news agency SANA reported on Tuesday, citing local sources. 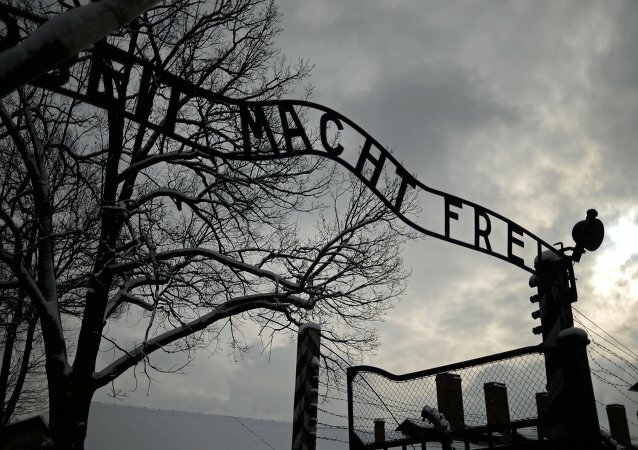 Two Hungarians tourists were recently handed suspended one-year jail sentences after attempting to steal bricks from a crematorium at the Auschwitz-Birkenau Nazi concentration camp in Poland. 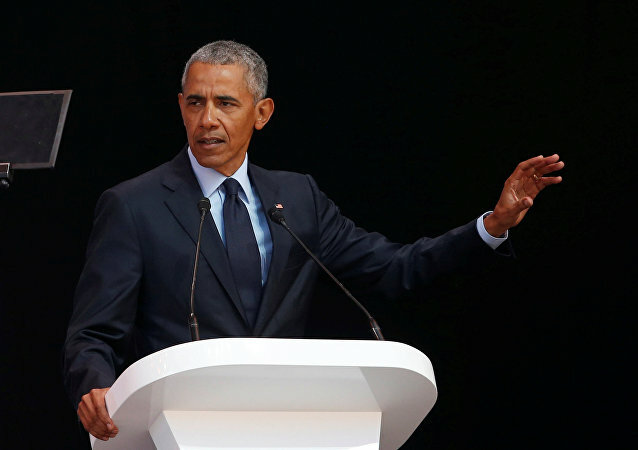 President Barack Obama made a rare public appearance to deliver a speech in South Africa, marking the 100th anniversary of Nelson Mandela’s birth. The speech did not go unnoticed on Twitter with social media users praising Obama’s words. A Gallup survey that routinely checks the US pulse on what Americans find to be the most pressing problems impacting their lives and the country found that almost nobody thinks the so-called Russiagate narrative is among the top issues. 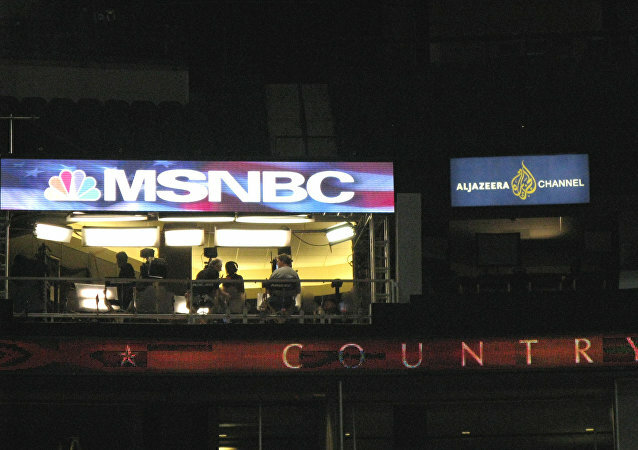 Mainstream liberal media in America is having a fit over the prospect of diplomacy between the United States and Russia in the face of allegations that US President Donald Trump is a “puppet” of Russian President Vladimir Putin, with many concluding that the Helsinki Summit constitutes “treason” by the US leader. The Las Vegas Metropolitan Police Department released bodycam footage on Monday showing one of its officers chasing two murder suspects through downtown Vegas while simultaneously shooting through his car’s front windshield multiple times. A US bakery was temporarily shut down by city health officials Friday after a video was released of a rat crawling over the shop’s cookies, pastries and pies. 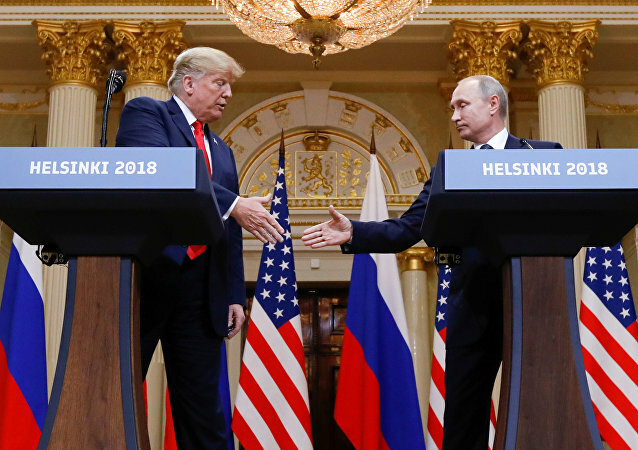 Following the conclusion of the US-Russian presidential summit in Helsinki, prominent US congressmen praised its results and blasted those who sought to attack Donald Trump over the meeting. 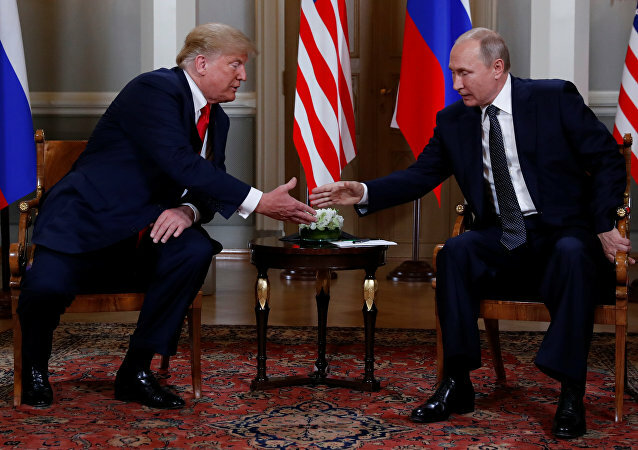 US President Donald Trump spoke to US media in Washington on Tuesday afternoon about his one-on-one meeting in Helsinki with Russian President Vladimir Putin. Republican congressman Paul Gosar spoke at a rally to free Robinson, a right-wing activist who was sentenced to 13 months in jail for breaching the peace outside a UK court house in May for reporting on a trial of a child molestation case involving Muslim immigrants. After Juventus FC welcomed Cristiano Ronaldo, speculations arose that Turin’s top striker, Argentine footballer Gonzalo Higuain, may head to London. His girlfriend, Argentine beauty Lara Wechsler, is expected to follow her man to England. The US has made it clear for the EU that it will exert maximum pressure on Iran, which was reiterated by Donald Trump during his recent meeting with President Vladimir Putin. Chuck Freilich, senior fellow at Harvard’s Belfer Center and ex-deputy national security advisor in Israel, discussed the potential outcome of US measures with Radio Sputnik. On Monday, UK lawmakers endorsed amendments to the country's customs bill which will allow the British government to levy duties on goods after leaving the EU. 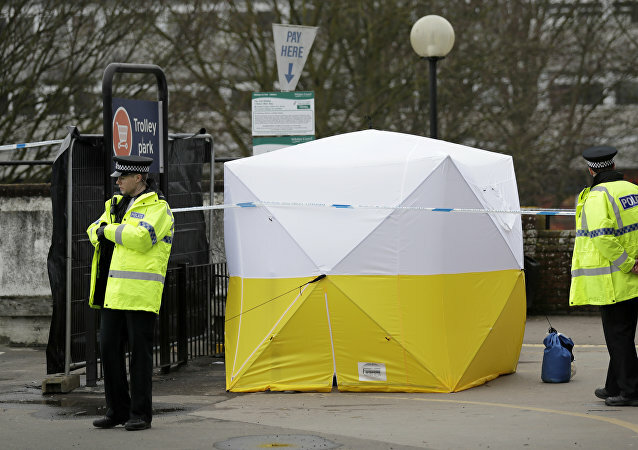 LONDON (Sputnik) - The Russian Embassy said Tuesday it had demanded that the British authorities either confirm or refute the possible leak of data on Salisbury incident investigation to the US, other countries or individuals. One of the world's most influential women, Angela Merkel, is turning 64 on July 17. Over the years she has built an image of a skilled negotiator and pragmatic politician who doesn't fear unpopular decisions, such as her "open borders" migration policy. But there's more to her than meets the eye. "We don't see any material negative impact with Brexit," chief executive of the US manufacturer said, pointing to opportunities of growth available in the UK. The reason for the upcoming testimony hasn't been revealed yet, while Pompeo himself has yet to comment on the information. Uncertainty over the Iran nuclear deal has been growing ever since Washington withdrew from the deal, with Tehran threatening to relaunch its nuclear program if the agreement breaks down.